Dr Martin Zebracki is an Associate Professor of Critical Human Geography at the University of Leeds with expertise in cultural geography, public art, sexuality and inclusivity. I am an interdisciplinary critical human geographer who is broadly captivated with studying and articulating the relationships between the world as habitat of human beings and human beings as organisers and meaning-makers of the world. How do people construct places and how do places construct people’s behaviour and the meanings they attach to their living environment? I have developed a special relationship with geography and art – for me, geography embraces a canvas for experiencing and hence drawing the world, where the geographer coexist with the artist. Martin Zebracki has specialised in the whys and hows of processes of inclusion and exclusion in arts practises in urban public spaces with special emphasis on socially marginalised populations, in particular lesbian, gay and bisexual (LGBT) people. He has published widely about the intersecting geographies of public-art practice, sexuality, (queer) citizenship, digital culture, and social inclusivity. Zebracki is the editor of Public Art Encounters: Art, Space and Identity (with Joni M. Palmer; Routledge, 2017) and The Everyday Practice of Public Art: Art, Space, and Social Inclusion (with Cameron Cartiere; Routledge, 2016). He is a member of international research and professional committees that are key to public-art practice and the study of sexualities. Zebracki has been collaboratively convening a significant number of themed sessions on research frontiers in his area of interest at major interdisciplinary conferences and forums. He is also a frequently invited speaker at institutions of higher education and research worldwide, most recently at the University of Oslo, Paris Diderot at Sorbonne Paris Cité, Tokyo University of the Arts, University of California–Berkeley, University of Melbourne, University of Canterbury–New Zealand, Western Sydney University, and the National University of Singapore. Over the years, Zebracki has set new agendas and extensively engaged with peers and research-user audiences in creative sectors, public policy and activism. Martin Zebracki is committed to issues of social diversity and inclusivity, which also transpires in his leadership roles as Equality & Inclusion Leader in the School of Geography, Chair of the Royal Geographical Society (RGS-IBG) Space, Sexualities and Queer Research Group and Steering Committee Member of the newly founded national network Queer Research UK (QRUK). Moreover, he is a Member of the Editorial Board of Public Art Dialogue. Martin Zebracki has an educational background in Human Geography and Urban and Regional Planning at Utrecht University, where I have obtained my BSc Hons degree (with distinction, 2005), MSc by Research degree (with distinction, 2007) and PhD degree (2012). In 2006, he pursued graduate research courses in Geographical Thought and Art History at the University of Florida, where he also served as teaching assistant in Social Statistics. In 2007-2011, Zebracki was the convener of various courses in social and cultural geography at Utrecht Summer School, Utrecht University. He held the positions of Lecturer and Postdoctoral Researcher in Cultural and Urban Geography at Wageningen University (2012-13), Utrecht University (2013), and Vrije Universiteit Brussel (2013). He was Academic Advisor and Student Counsellor at University College Utrecht (2011-13), an international selective liberal arts undergraduate college. 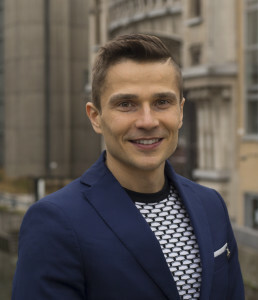 In 2013, Martin Zebracki moved to the School of Geography at the University of Leeds, where he held the role of Lecturer until he was promoted to Associate Professor in 2018.